• Puma found dead in Point Mugu State Park killed by rat poisons, Los Angeles Times, November 10, 2015. • Editorial on P-34 death – Rat poison is killing more than rats, Los Angeles Times, November 12, 2015. • Readers React Once considered intruders, pumas have endeared themselves to L.A., Los Angeles Times, November 14, 2015. • Rodenticide debate heats up in wake of wildlife deaths, Thousand Oaks Acorn, December 03, 2015. • Mountain Lion Was Exposed to Multiple Poisons, Tests Show, National Park Service Press Release on P-34 Poisoning, November 10, 2015. • Editorial: It’s Time to Stop Destroying California Wildlife with Rat Poison, Ventura County Star, November 13, 2015. Rodenticide Poisons Mountain Lion at Point Mugu, Malibu Times, Oct. 2015. Deaths of Young Mountain Lions Illustrate Challenges to Survival, National Park Service, Oct. 9, 2015. Citywide rodenticide ban gains traction at ZORACES meeting, Malibu Surfside News, Oct. 6, 2015. Bobcat’s illness attributed to rodenticide, Thousand Oaks Acorn, Oct. 1, 2015. Very important comment on the new California Department of Pesticide Regulation rules banning consumer purchase and use of 2nd generation anticoagulant rodenticides by Lisa Viani of Raptors are the Solution (see above for her websites). After the maker of D-Con Reckitt Benckiser’s requested injunction against the July 1, 2014 start date for the CDPR’s new rules was turned down, they threw in the towel also in their fight against the EPA’s national rules (which are weaker than California’s). Here is an article explaining why this is only a partial victory. – “MROSD concerned about rodenticide’s effect on local bobcats” from the Coastsider, March 31, 2014, a local newspaper for coast north of Santa Cruz. The mange epidemic has reached there and bobcats are disappearing from where they were once abundant. -“Poison kills more than the intended animal” from the Lake Tahoe News, January 9, 2014. Hits the nail on the head on how homeowners must be conscious of what the poisons are doing. 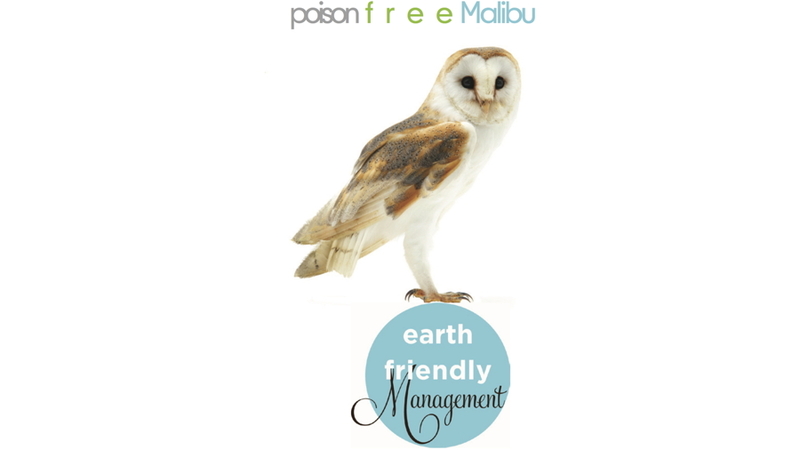 – “Rodenticides, lack of space threaten local wildlife” from the Malibu Times, January 2, 2013. Threats to mountain lions, bobcats, and other predators in Malibu area. Steve Scauzillo is a great journalist on the environment for the Los Angeles News Group. Mentions Malibu and Whittier, and the hope that the model of Malibu will spread the work throughout Los Angeles County. – “Cities, EPA moving to curb use of rat poison linked to bobcat deaths” from the San Gabriel Valley Tribune from July 15, 2013. Linda Richards is another great journalist, for the Redlands Daily Facts. – “Rodent poisons and our ailing wildlife” April 9, 2013. – “Rodent Poison in the Garden Can Harm Wildlife” August 19, 2013. – “Rodent Poisons: What Communities are Doing” October 14, 2013. Ventura County Star article about our effort in Malibu. July 20, 2013. Good quotes from Seth Riley (National Park Service), Linda Parks (Ventura County Supervisor), and John Sibert (Malibu City Council). Sacramento Bee. March 22, 2014. Hard-hitting editorial about the new California Department of Pesticide Regulation rules banning consumer use of 2nd generation anticoagulant rodenticides. Weed Killer, Long Cleared, Is Doubted, Glyphosate/RoundUp “probably” causes cancer according to the World Health Organization. New York Times, March 27, 2015. Articles from the Center for Disease Control. In this page, are the following articles. It is caused by unsanitary environments where mice waste accumulates. renovated in such a way to promote it. The solution was tearing down the cabins and reconstructing them, so this could not happen. NO POISON WAS USED and would not have been effective. Not found in the United States. Leptospirosis is treated with antibiotics. Infrequent recognition and diagnosis, and historic underreporting of LCM, have limited scientists’ ability to estimate incidence rates and prevalence of disease among humans. OHF occurs in the western Siberia regions of Omsk, Novosibirsk, Kurgan and Tyumen. a motivation for concern about squirrel, and other rodent, populations. The numbers of infections from 2010 to 2016 were 2,3,4,4,10,16,4! The numbers of deaths in those years were 0, 0, 0, 1, 0, 4, 0.
a minuscule rate of occurrence? Rare in the United States. Accurate data about incidence rates are unavailable because the disease may not be reportable to state health departments. Since RBF is not a nationally notifiable disease, trends in disease incidence in the U.S. are not available. Recent case reports have highlighted the potential risk for RBF among persons having contact with rodents at home or in the workplace. Use insect repellent. Avoid mowing over dead animals.